Discard the stereotypes from TV shows and cheap takeouts. After having an exceptional dinner at Utsav, I’d say that Indian cuisine is not only rich in flavor but also in the diversity of culture. In NYC, restaurants never get tired of branding themselves as “authentic”, but many times it’s just marketing. As a food explorer, it’s my sacred job to go beneath the superficial level. I don’t simply take what’s on the table but ask for the story behind the dish. But at Utsav, I didn’t even have to ask. What’s on your list if you are dining on a night out? French, Italian, or Japanese? How about try something different this time. If there is a romantic dinner on your calendar, I think it’s time to explore the realm of Indian cuisine. Curry over rice is absolutely delicious, but not everyone can see the sophistication of it. 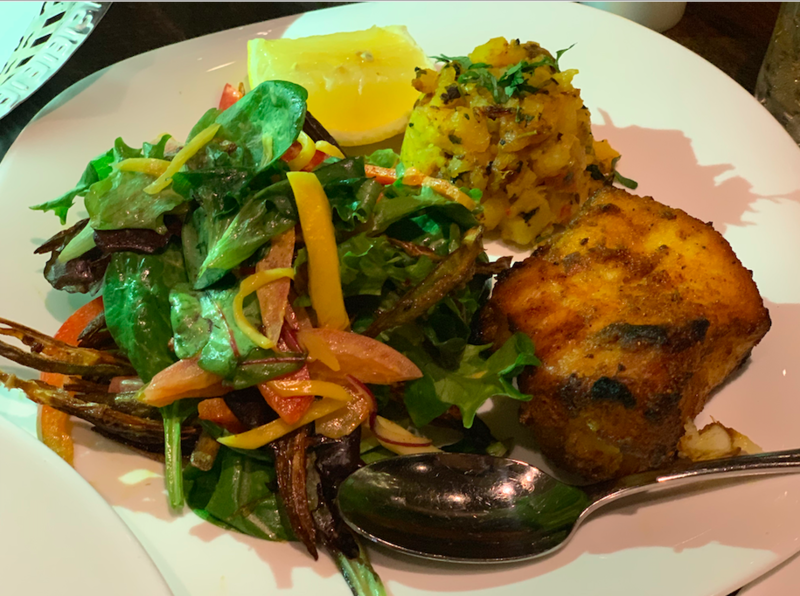 After being seated, Roob, the manager of Utsav, walked us through the menu with unforgettable hospitality and detailed explanation of each dish. He informed us that “Utsav” means “Festival” in Sanskrit. In India, a land of cultures and regions with abundant festivals to celebrate, each Utsav is a carnival of sounds, colors, rituals, and feasts. Rooted in this concept, Utsav restaurant is known for serving traditional dishes infused by a festival flair. 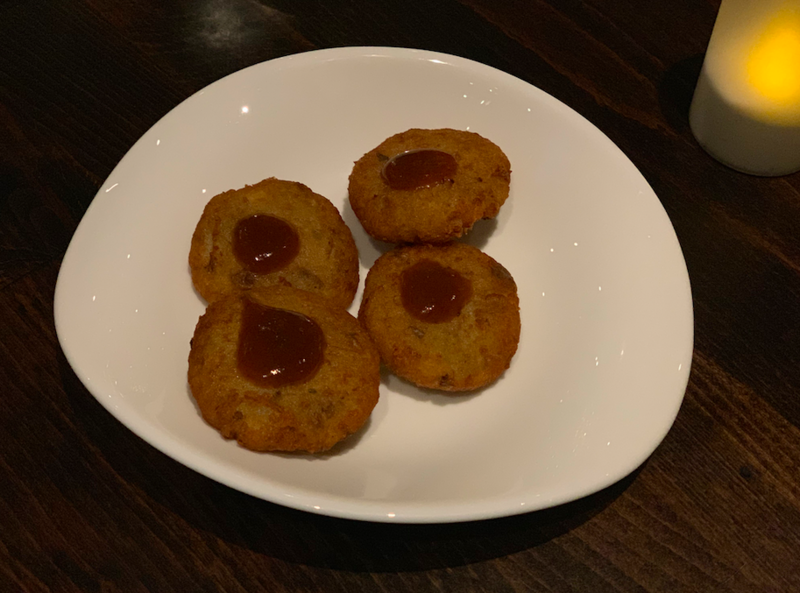 After seeing how overwhelmed I was by the abundant choices in themenu, Roob delightly explained that the diversity of Indian cuisine was adequately represented by Utsav. From the Ganges River area in northern India to southern India, traditional cuisines of major regions of India was served with authenticity as well as innovation. Beyond the opulence of choices,what won my heart was the caring flexibility that Utsav catered to each of its guests. The chefs are willing to learn about your dining preferences and cater to personalized dishes. 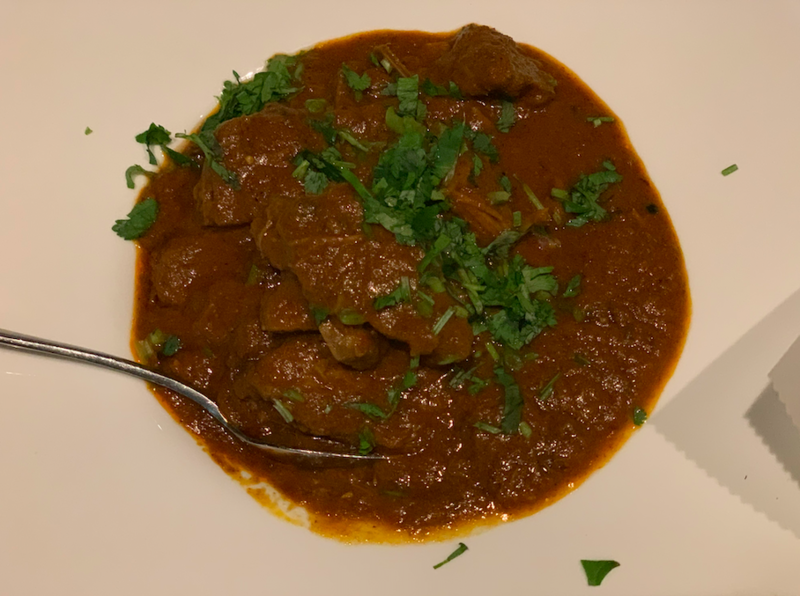 So don’t be shy and tell them exactly what you want, from the detailed spice levels, to cooking approaches, you can even explore the secret menu---Utsav got all the ingredients! We were amazed by Roob’s presentation and decided to take all of his recommendations. After a while, a full table of Indian cuisines was delivered. 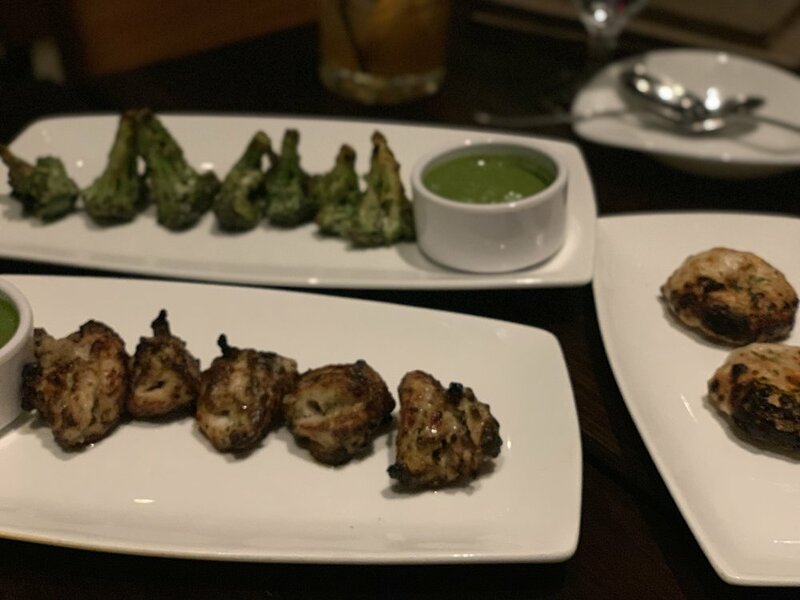 We had Chicken Kali Mirch Kabab, Tandoori Broccoli, and Butter Chicken Kulcha for appetizers. The broccolis were salted with garlic spices which was amazingly appetizing. Then we tried the chicken, which came with crispy golden crusts and homemade green curry sauce on the side. Immediately after the first bite, we already went to grab the next piece, lets just say it was a quick empty plate. 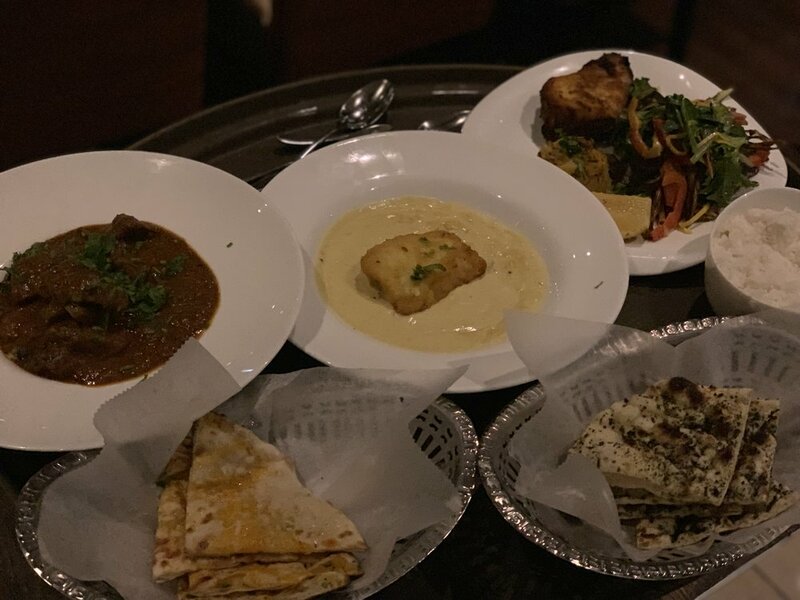 Accompanied by the Garlic Naan, Chess Naan, and a bowl of rice, there came the Fish Tikka, Sea Bass Rasa, and Bhuna Mutton as Entrees. The meat was fresh, tender, and juicy. The Naan was so soft and al dente, it tasted like a marshmallow that melted in my mouth. We were already pushed to the limit by the quantity of the food, however, when the delectable desserts showed up, we just had to stuff ourselves a bit more. We had “India’s favorite sweet” Gulab Jamun, the Panna Cotta infused with refreshing mint, and the creamy Mango Mousse that brought us to the peak of satiation. “Unprecedented.” That’s my word for the dinner. As an upscale Indian restaurant, Utsav was unprecedented in its variety and authenticity. Besides, it had elevated the dining experience to another level with Indian’s unprecedented warmth and generosity. Sitting by the glass window and sipping a cocktail, I was intoxicated by the cozy, exotic, and luxuriant dining environment. Capable of accommodating 300 guests at one time, Utsav has one of the most spacious dining lounges you can find in the city. 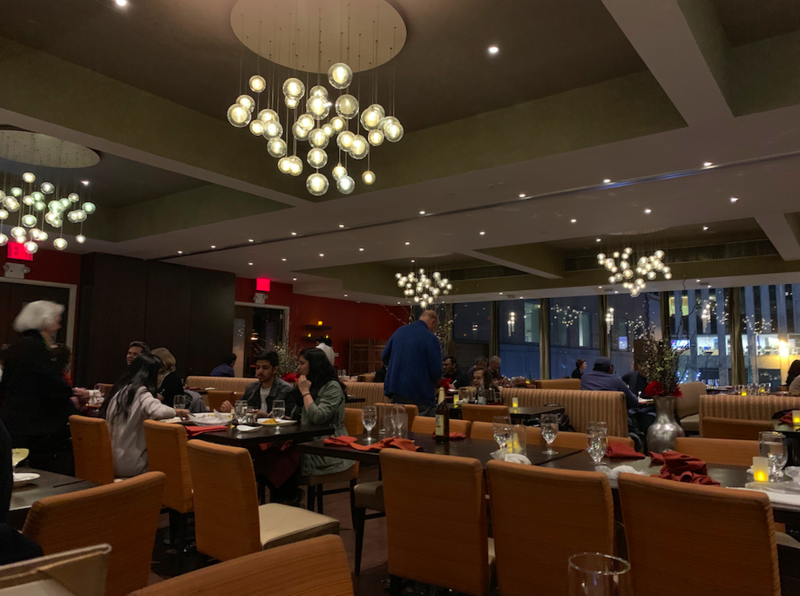 The dining room is surrounded by floor to ceiling French windows, through which you have the overlooking view of a plaza, the Laura Pels Theatre, and street lights at midtown. Utsav has brought India into the city. It has brought the Indian cuisines, culture, festival vibes, romance, and hospitality.